SR22 Insurance South Carolina! Cheap Quotes in SC, from just $7/month! Like in the vast majority of the of US states, you can’t drive legally in South Carolina without car insurance. The South Carolina Financial Responsibility Act requires drivers to carry at least liability insurance and uninsured motorist coverage. The South Carolina auto insurance requirements are meant to ensure that drivers in The Palmetto State always have the means to pay for bodily injuries and property damage they cause or sustain in the event of an accident. High-risk drivers may be required to carry special types of auto insurance coverages. The state requires the drivers to verify their insurance status and coverage amounts through the Automobile Liability Insurance Reporting (ALIR) System when registering their vehicles with the South Carolina Department of Motor Vehicle (DMV). Make sure that your insurance provider has keyed in your information into the SC ALIR when you purchase auto insurance. Despite the fact that insurance is a mandatory requirement for vehicle registration, drivers may still be required to present proof of insurance when pulled over by law enforcement officers. If the police officer asks for proof of insurance during a traffic stop in South Carolina, you may present your insurance ID card or policy document. 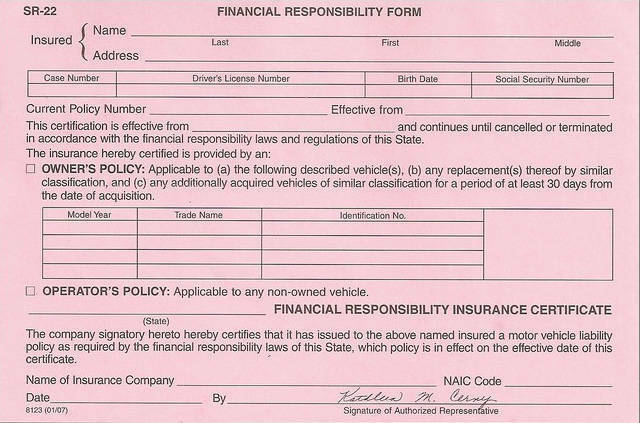 Motorists are also required to provide proof of insurance if they are involved in an accident, failure to which may lead to the suspension of your license and registration coupled with a mandatory Proof of Financial Responsibility (SR22) filing, also known as SR22 insurance. SR22 insurance, officially known as the Proof of Financial Responsibility (SR22), is a document filed by the insurance provider as proof that the driver has a liability policy meeting the state-mandated coverage. If your driver’s license and vehicle registration are suspended after an accident, the South Carolina SR22 insurance certificate will help you get your driving privileges reinstated. Contrary to popular belief, an SR22 certificate isn’t actually insurance in the conventional sense. The term SR22 insurance is a misnomer, there’s no such thing. It’s simply a document showing that you’ve met the state’s auto insurance requirements. If you get in trouble behind the wheel in South Carolina, you will be required to file an SR22 certificate. Typically, drivers who are required to file SR22 insurance will be notified via a court order. The document, filed with the state by your insurance company, serves to prove that you are covered by the minimum auto insurance required to legally drive in South Carolina. Do I Need to File an SR22 Insurance In South Carolina? Who needs SR22 insurance in South Carolina? If your driver’s license and vehicle registration are suspended, you will be required to file an SR22 certificate to reinstate your driving privileges. There are a number of incidents that can lead to the suspension of driving privileges in the state. 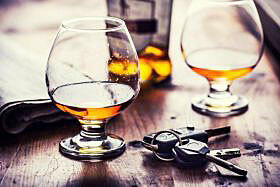 For instance, DUI or DWI convictions and other driving misdemeanors are the most common reasons for the suspension of driving privileges in South Carolina. If you’re found to be part of a driving felony such as vehicular homicide, your driving privileges may also be suspended. 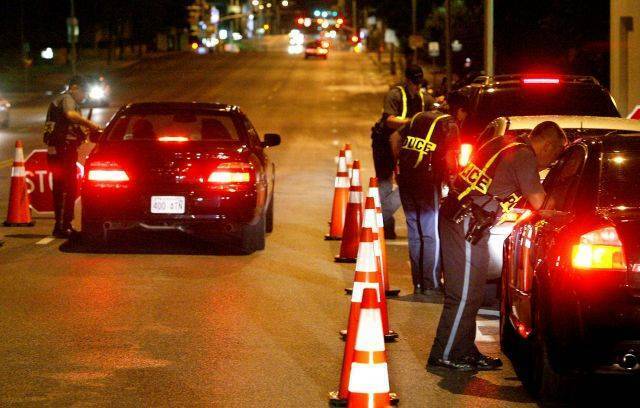 For your first DUI offense in South Carolina, you will be required to carry a provisional driver’s license for several months. During this period, you will need to obtain an SR22 certificate to drive legally in the state. Driving uninsured at the time of an accident will lead to the suspension of your driving privileges. You will be required to carry SR22 insurance if you are involved in an accident and fail to fully pay for the damages that the court determined you are responsible for. Unsatisfied judgments may also lead to the suspension of your driving privileges. Your driver’s license may be suspended if you receive too many traffic violations in short periods of time. Also, if you fail to pay any traffic fines that have suffered for an extended period of time, your driver’s license and vehicle registration may be suspended. The violations that may lead to the suspension of your driving privileges are generally the same across the United States. However, it important to reach out to the South Carolina DMV for clarification if you have questions about the specifics of your suspension. How Does SR22 Insurance Restore Driving Privileges In South Carolina? If your driver’s license is revoked or restricted, filing an SR22 certificate is the only way to get your driving privileges reinstated. The SR22 filing provides South Carolina residents with a reputable way to move on from their driving suspensions. The SR22 certificate allows for a temporary or conditional license to be issued to applicants who have been accepted by the state’s DMV. Using this conditional license, drivers looking to reinstate their driving privilege can continue driving legally, pay their insurance, and eventually have their driver’s license reinstated. How do I get an SR-22 in South Carolina? Since SR22 insurance is associated with serious traffic violations, obtaining an SR22 certificate is not as simple as sending a standard proof of coverage to the South Carolina Department of Motor Vehicles. First of all, an SR22 certificate can only be filed via an insurance company. You cannot file an SR22 certificate on your own. This document is meant to be certified proof that you carry — and will continue to carry — the state-mandated auto insurance coverage. Therefore, the SR22 certificate must come straight from the insurance company to guarantee authenticity. The first step towards obtaining the SR22 certificate is informing your auto insurance provider of the requirement. Since the SR22 requirement increases the risk factor, not every insurer may be willing to file on your behalf. Don’t worry, though. There are many insurance companies ready to file the SR22 certificate on your behalf. All you have to do is find an insurer, purchase the necessary coverages, and have the company file the SR22 certificate with the South Carolina DMV. The process may not be as easy as it sounds. The goal is to get your information compiled and submitted to the SC DMV as fast as possible. Therefore, make sure that you choose a company that has the capacity to do so. For this reason, the cheapest option may not be your best choice. Once the SR22 certificate has been submitted and also accepted by the SC DMV, you’ll be able to pay your monthly car insurance premiums and start working towards the reinstatement of your driving privileges. As long as your coverage does not lapse, your driver’s license will be removed from suspension in due time. How Long Should I Maintain My SR22 Insurance In South Carolina? In South Carolina, SR22 insurance is required for a minimum of three years. If you are involved in another incident or commit another violation that requires the filing of an SR22 certificate within the initial mandated period, you may have to hold onto your SR22 for a little longer. Focus on avoiding traffic violation to avoid having to maintain the SR22 coverage longer than you need to. You have to keep the SR22 coverage active during this period. 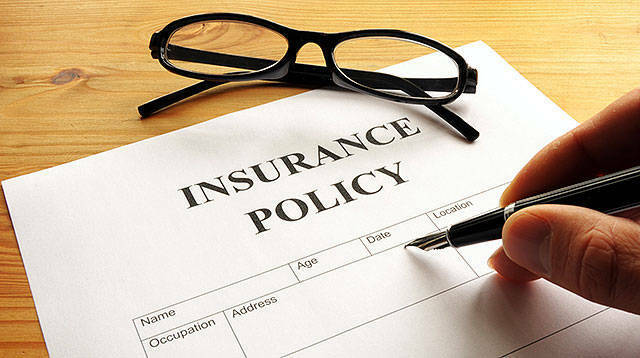 In the absence of violations, incidents, or accidents, you will be able to purchase regular car insurance immediately after the expiration of the initial three-year period. How Much Does SR22 Cost in South Carolina? The actual filing will cost you anywhere between $50 to $100 in processing fees, but some insurance companies offer cheaper fees. The real cost of SR22 insurance is seen in the form of auto insurance premiums. Since this type of insurance is associated with high-risk drivers, expect to pay more in premiums than you used to pay with a standard car insurance policy. In fact, some auto insurance providers decline to offer SR22 insurance altogether. Your insurance premium could go up significantly or it could be just a little bump depending on the severity of your violation. You are still required to purchase SR22 insurance to have your driving privileges reinstated even if you don’t have a car. People who don’t own cars can meet this obligation by purchasing what is referred to as non-owner’s SR22 insurance. Keep in mind that you will not be able to obtain a non-owner’s SR22 policy if you have regular access to a particular vehicle, even if you don’t own it. For instance, if your roommate owns a car and lets you get behind the wheel now and then, you will be considered to have regular access and required to obtain a standard SR22 insurance policy. How Many Types of SR22 Insurance Are Available in South Carolina? There are three types of SR22 certificates in South Carolina. These are the SR22 Operators Certificate, SR22 Owners Certificate, and the SR22 Operators-Owners Certificate. The SC SR22 Operators Certificate provides coverage for the driver when operating any non-owned vehicle that they have been given the permission to drive. The SC SR22 Owners Certificate allows you to drive all the vehicles you own. In some cases, this certificate is issued with details such as the make and model of a particular car. In other cases, it covers all the vehicles owned by the insured. As the name suggests, the SC SR22 Operators-Owners Certificate is a combination of the first two types of SR22 insurance. This coverage offers protection for the insured driver while operating both owned and non-owned vehicles that he/she has permission to drive. Purchasing non-owners SR22 insurance allows drivers with suspended licenses to restore their driving privileges without owning a car. If you purchase non-owners SR22 insurance, make sure that you only drive cars with express permission from the owner. Also, make sure that the car is insured before you get behind the wheel. What Next When the SR22 Period Concludes? An SR22 certificate helps South Carolina drivers reinstate their driving privileges. It’s a requirement to carry SR22 coverage for a prefixed period of time, usually three years in South Carolina. The duration varies with the severity of the violation you were convicted for. Severe violations, such as DUIs or DWI, as well as causing injury or death while driving without insurance, attract stricter penalties. 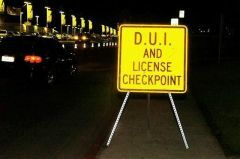 This could mean the suspension of your driver’s license for more than three years – sometimes up to five years. Upon the end of your suspension, you can change from the SR22 coverage to a standard auto insurance policy. What If I Don’t File an SR22 Certificate In SC? An SR22 certificate is an extremely important resource for South Carolinian drivers who’ve had their licenses suspended but still need to be able to drive while going about their daily routines. Filing an SR22 certificate allows you to drive legally and gives you a chance you have your full driving privileges reinstated. Make an SR22 filing as soon as you get the court order to do so. Choosing not to file the SR22 certificate means that you will continue to drive with a suspended license, which can be problematic. Failing to meet the SR22 obligation attracts stiff penalties in South Carolina. For instance, continuing to drive under suspension increases the period of your suspension and may even lead to the revocation of your license. On top of that, driving while suspended may lead to the repossession of your car by the South Carolina DMV. Drivers who fail to meet the SR22 requirement may also be arrested or subjected to hefty fines. Don’t drive with a suspended license; file the SR22 certificate as soon as possible to avoid problems in the future. When it comes to SR22 insurance, choosing the right insurer will ensure that you don’t pay more — in terms of time or money — as a suspended driver in the state of South Carolina. Shop around until you find a policy that can help you fulfill your SR22 obligation effectively. If you are looking for SR22 insurance in South Carolina, just scroll back to the top of this page and fill out the form to obtain a quote. You can also get in touch with us via telephone if you need more information about SR22 insurance in South Carolina. Copyright © 2019 SR22 Insurance South Carolina. All Rights Reserved.